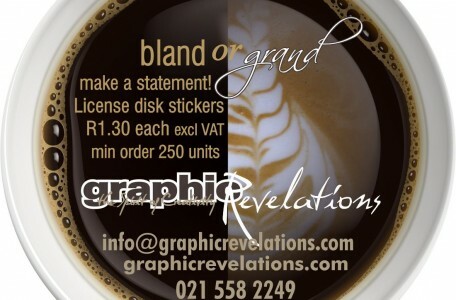 Graphic Revelations is still the best place to get you custom designed and printed license disk stickers. These are our license disk sticker prices for 2018. 250 – 1000 units – R1.80 each plus VAT 1001 – 2500 units – R1.65 each plus VAT 2501 + units – R1.40 each plus VAT Less than 250 units – R250 each + R195 setup + VAT Artwork (if not supplied print ready) quoted separately. 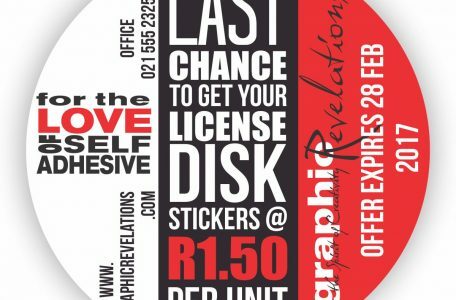 This is your last chance to get license disk stickers at R1.50!!! Don’t miss out on this offer! Annual price increases take effect on 1 March 2017 – place your order now to qualify. Minimum order of 250. Price excludes VAT. If you do not have artwork we can do your design for you – please request a quote. 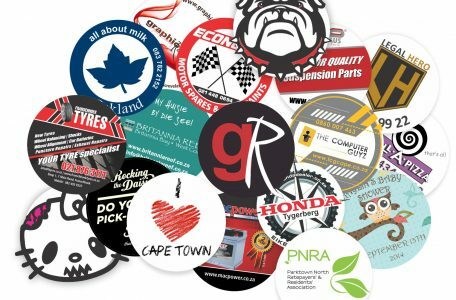 License disk stickers are a great way to promote your business or cause. At our amazingly low price of just R1.60 each, you can afford to get your name out there! Order your license disk stickers today! 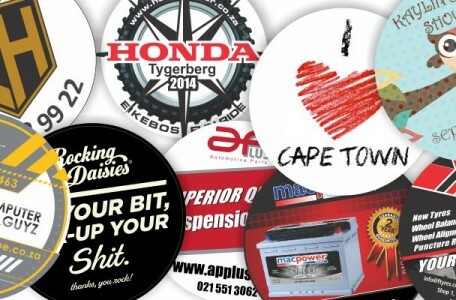 Supply your own design or let us design your license disk sticker for you. We do special “FUNKY SHAPED” shaped license disk stickers! Contact us for more information. We offer better rates when you order 2500 or more units. Click to request your quote. Minimum order: 250 units. All prices exclude VAT. Artwork quoted separately. 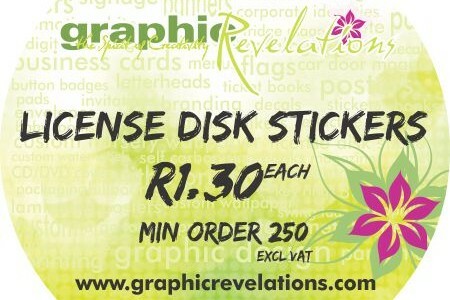 License disk stickers at R1.30 each. Our popular special is back at the same old price! Get noticed and make a statement with our winter-warming, funky custom designs. Even bigger discounts available for large orders. Prices exclude VAT and artwork. Promote your business, event, product or just have them for fun! 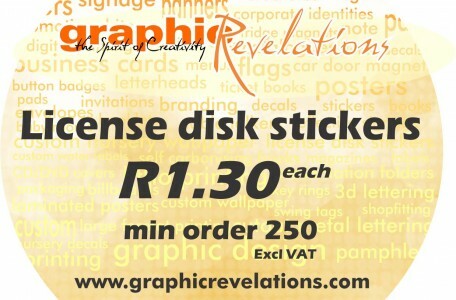 License disk stickers all R1.30 each (ex VAT) – Minimum order 250 units. Promotion valid till 31 October 2014 Artwork and postage (if not in Cape Town) not included.